Today we left Des Moines and drove 200 miles closer to Sioux Center, Iowa, where RAGBRAI starts the day after tomorrow. We are resting up in a motel near Sioux City, Iowa. Names of locations here are confusing. The map above shows Sioux City and to the north is Sioux Falls, South Dakota. But the start of RAGBRAI is Sioux Center, which is too small to show up on this map scale. Sioux Center is about 50 miles north of here above Le Mars. That means we are in a good position for getting into the RAGBRAI starting town early in the day tomorrow. The day before the ride is such a madhouse that the sooner we can roll into town the more traffic we can avoid. 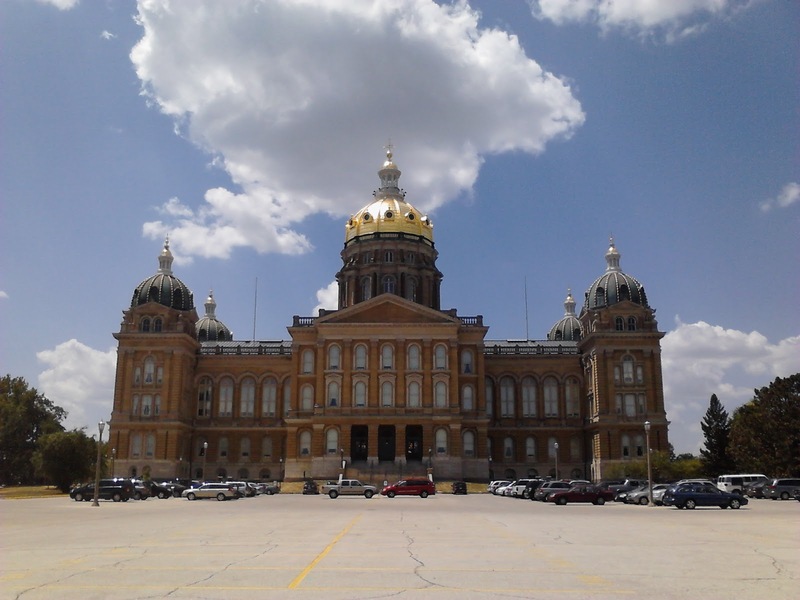 All indications are that this year’s RAGBRAI will be hot and sunny, like the days and weeks we’ve spent here in Iowa, so far, getting ourselves ready. We didn’t let the heat stop us from doing lots of bike riding so now we should be acclimated for the week ahead. 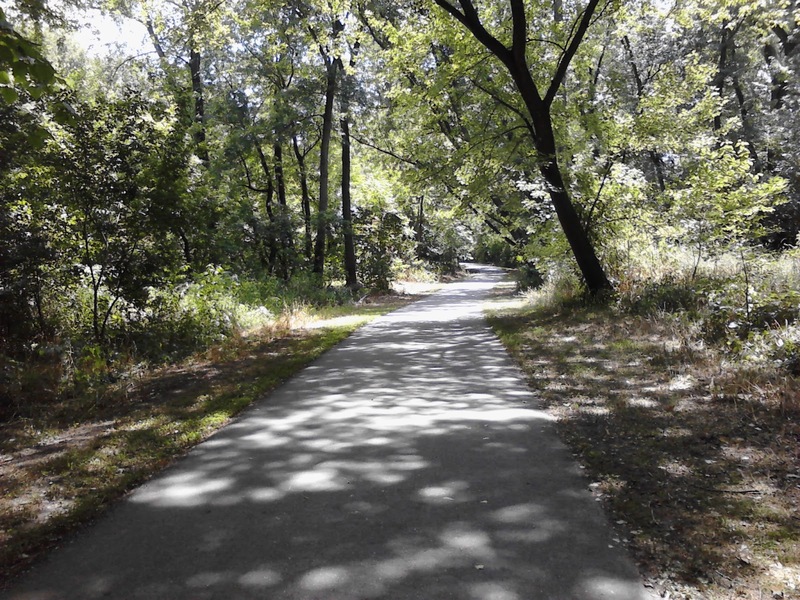 We managed to find a bike trail to explore each of the days last week that we were in Des Moines. I was surprised at how many of the trails allowed us to ride in places with lots of shade trees. 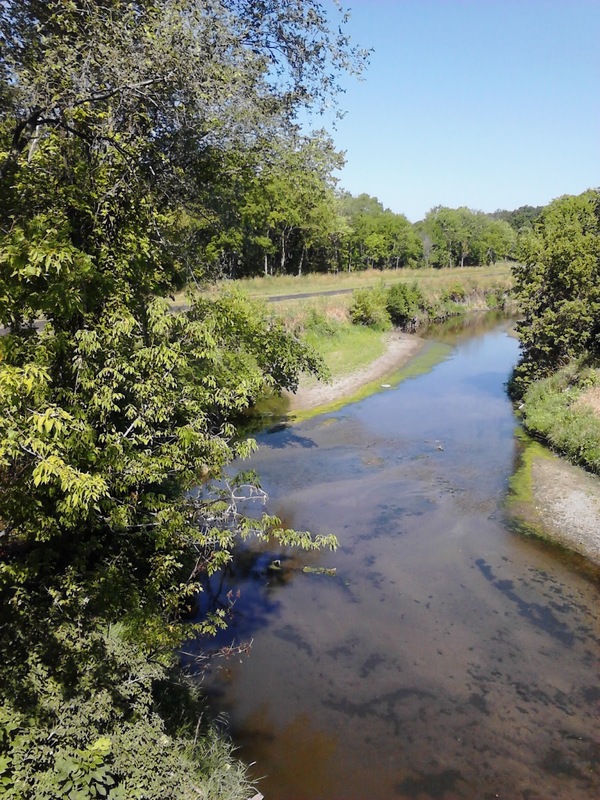 Along Four Mile Creek in Des Moines near Pleasant Hill. 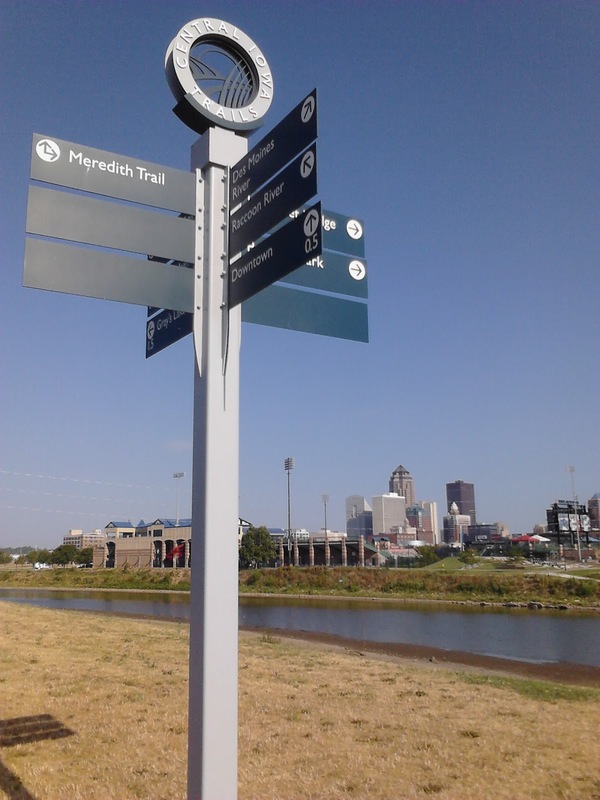 Start of a bike trail near downtown Des Moines. Not shady here, but most of the trail itself was shaded. 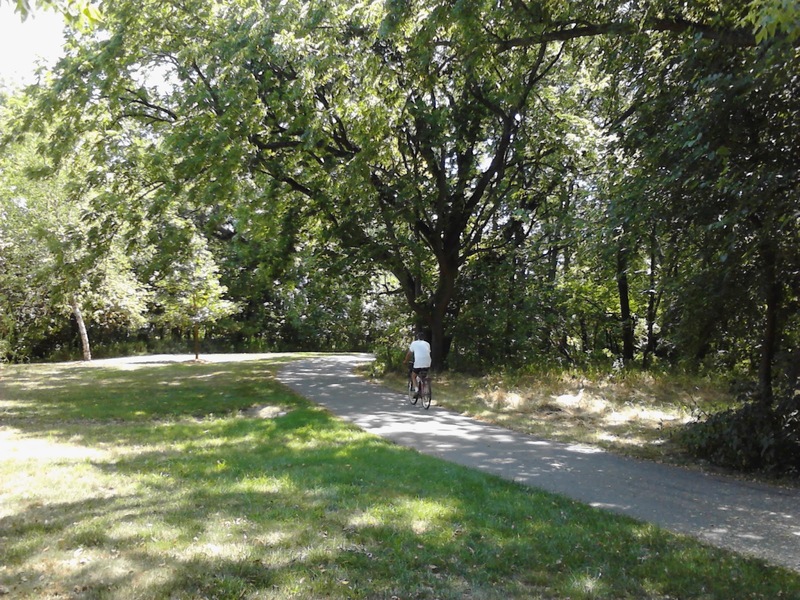 Clive Greenbelt trail along Des Moines River near the city. 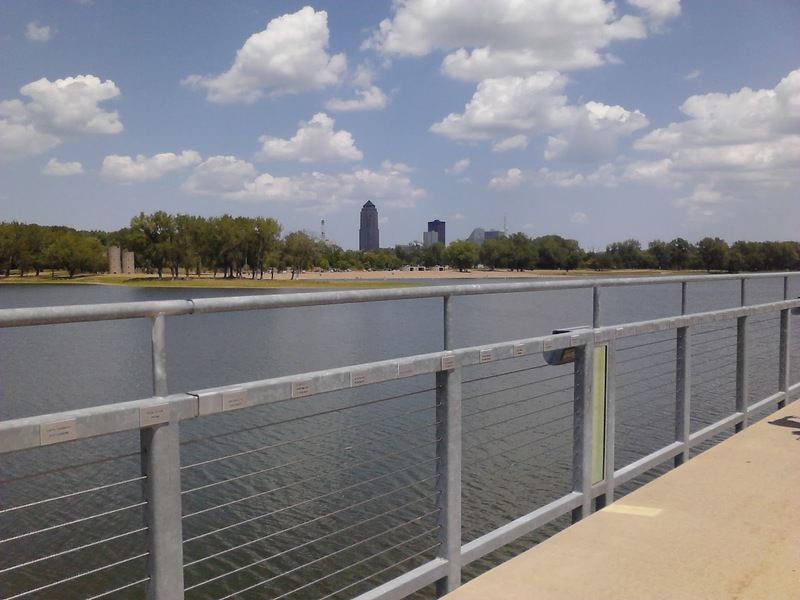 Bike Path bridge across Gray’s Lake in Des Moines. Gay Lea Wilson Trail near Pleasant Hill. Get Ready, Get Set…RAGBRAI XL here we come. But, remember, the GO! does not mean the start of a race. It’s a ride, not a race. It’s a rolling celebration of Iowa and I’m ready to get out there and enjoy every minute of it.